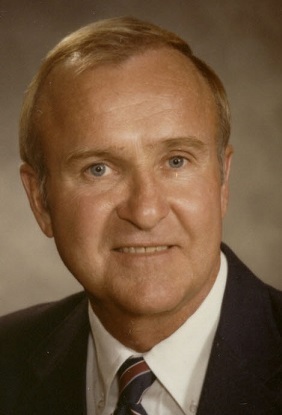 Mayor Brady Broussard,Sr., who served from 1986 to 2002, is the longest serving mayor in the history of Abbeville. He was reelected 3 times, without opposition, and retired in 2002 due to the presence of prostate cancer and his wife's Alzheimer condition. Mayor Broussard is the son of Marcus A. Broussard, Sr. and Muriel Brady Broussard and was born and raised in Abbeville. He was educated at Abbeville High School and Northwestern State University, participating in football and track, and also serving as AHS student body president. In 1982, he was inducted in the Abbeville High School Athletic Hall of Fame. Mayor Broussard married Bonnie Richard, who passed away August 30, 2009, and together they have 5 children: R. Brady Broussard Jr, Darby Lynn Champagne, D. Delany Broussard, Lance R. Broussard, and Scott R. Broussard, and 12 grandchildren and 12 great-grandchildren. Along with Vermilion Parish School Superintendent Gene McGiveron, Mayor Broussard was responsible for starting the Boys and Girls Club in Abbeville. He was appointed by the Governor to, and chaired, the Environmental Board LRRDA. He was the chairman of the Abbeville Fire and Civil Service Board and a board member of the Louisiana Municipal Association. The Governor also appointed him to the Louisiana Firefighters’ Investment Board and the State Commerce and Industry Board. Mayor Broussard served as the chairman of the Vermilion Parish Library Board and appointed to a Federal Environmental Board. Mayor Broussard and his administration moved into the new City Hall downtown, in a historic building that once housed the Audrey Hotel, and accomplished major beautification projects to Abbeville's downtown Magdalen Square. He started Abbeville’s downtown Christmas lighting program and “twinned” with the French-speaking city of Lasne, Belgium. Mayor Broussard is a Eucharistic minister at St. Theresa Catholic Church. In his spare time, Mayor Broussard enjoys working in his yard, caring for his citrus trees, exercising, and visiting with his children, grandchildren, and great-grandchildren. Mayor Broussard's brother, Judge Marcus A. Broussard Jr., was inducted into the Order of Living Legends on May 4th, 2002.